← La Cave d’Augustin Florent, Tannat, Madiran AOC, Southwest France, 2012, 13.5% abv. When my certified expert in Italian wine friend called me to share a bottle of a made-in-BC wine using amphorae from Chianti, there was no hesitation on my part. Medium gold with a fleshy peach overtone and deep legs, the grapes for this wine spent 2.5 months on the skins to attain this gorgeous hue. The nose is all peaches and apricots with slight honeysuckle and almond. There is an earthen quality that pervades as well – almost akin to Dogwood tree. Now that’s how to make your BC amphorae wine take on a BC twist. The palate is dry but the luscious fruit tricks your palate ever so slightly. A medium acidity and pleasingly plump body envelop the flavours which show more orchard stone fruit, a floral element and a bitter almond – citrus rind kick on the back end with fresh earth and a waxy texture reminiscent of clay. Marta paired this expertly with dried Turkish apricots, young manchego (which added some fat to the mouth to enhance the acidity, but didn’t detract from the wine), almonds and soft Calimyrna figs. Only 150 cases of this WSET Very Good wine were made and it sold out quickly. Note to self; must become a Laughing Stock Winery wine member to buy more next time around. 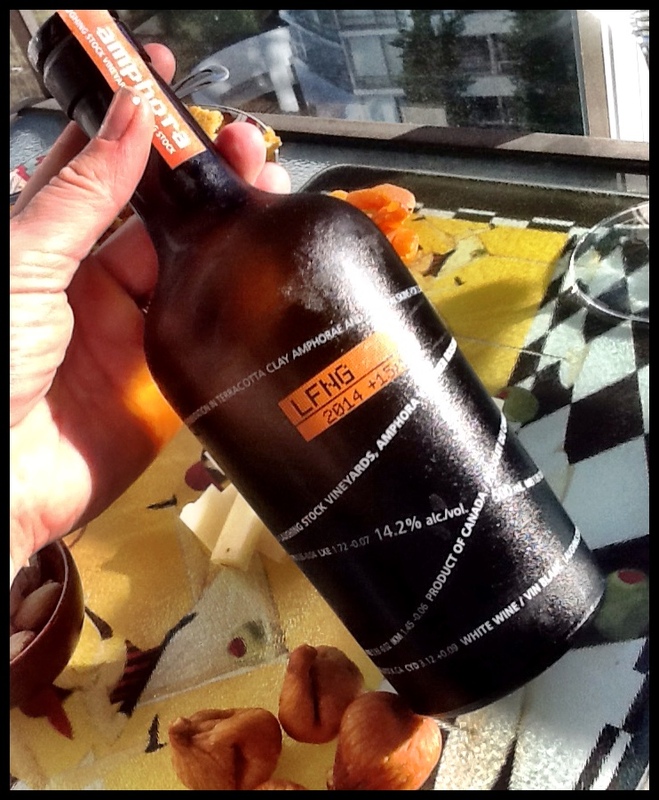 This entry was posted in British Columbia, OTHER, Rousanne, Viognier and tagged 14.2% abv. 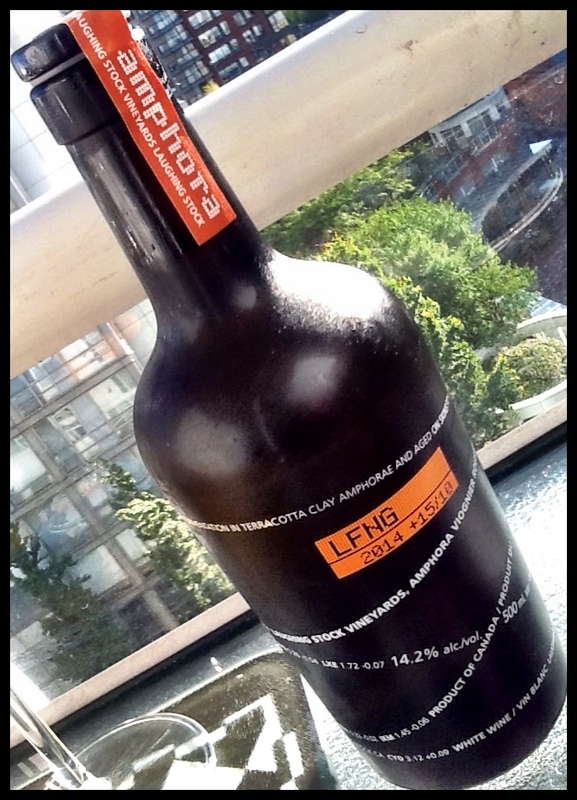 C$24, 2014, 500 ml., Amphora, BC, Laughing Stock Vineyards, Naramata Bench, Okanagan Valley, Rousanne, viognier. Bookmark the permalink.